“No. Do you have an ancestor shrine and work with your ancestors?” I asked. Another example of someone playing conscious or what I call conplay. You know it is like cosplay but they are playing to be conscious. I used to be the same way. I used to step into a cipher and spit all of this information about all the books I had read but after the cipher ended. I was still financially broke. At the time I was still lonely. I was not successful because I was torn between pursuing a college degree/career/working for the man and self-employment as a starving artist selling artwork, tee-shirts and incense. But, I claimed to be “conscious” and considered others who had stopped eating pork or became a vegetarian/vegan and knew about history “conscious” as well. But, I was not conscious and these individuals I rolled with were not conscious either. We were all informed meaning we read a lot of books and therefore, had a lot of information. We are told that conscious means to be “aware” or “awake” from a metaphorical sleep. This means that if someone is sleep they are walking around in a daze as if they are on autopilot. For instance, my morning routine is to wake up, go to the restroom, check the house, make breakfast, and get things ready for my wife to help my wife so that when she awakes she can focus only on the baby. I wake up every morning and follow this same routine because this is my program and it works for me. I mean even when I do not have to go to work, I get up around the same time and do this same routine. So, technically you can say that my morning routine is on autopilot. If something happens that throws me off of my program like I wake up late or something, then my morning routine will be out of whack and I will seek to get back on my routine. This is what it means to be sleep. Therefore, consciousness means that you are aware of the routine you are following. In short, Consciousness is not about making you feel good. Being informed is. So, there are some things that we are all conscious about and some things we are not. When you are “conscious”, the metaphorical light comes on and it does not go out. It stays with you because this is the Left Eye of Ra. 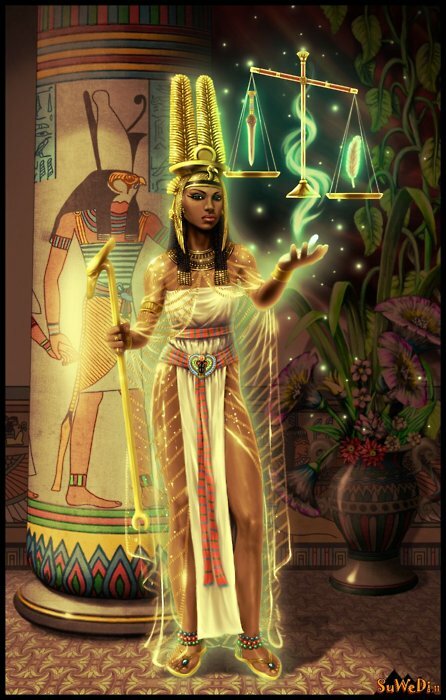 A lot of times, you cannot even explain in words the Aha or Eureka moment because it is ethereal and corresponds to the Light of Amun Ra. A lot of people are confusing informed with consciousness. Informed refers to the Light of Ra or the left Eye of Ra. Consciousness is the Light of Amun Ra or the Right Eye of Ra. This same mindset can be found when it comes to diet and health. Most people are informed about dietary ills but they are not Conscious, which is the reason they have turned their dietary lifestyle into a religion by only dealing with people who eat the same way they consume food. If an individual comes into these so-called “health conscious” people sphere with some type of infirmity these so-called “health conscious” people look down on them. Yes, suddenly “health conscious” has become a religion and you hear these people all the time preaching against soul food, but whenever they can’t get to their tofu or some other soybean product, they will reach for potato chips and chocolate. Yet, they are “health conscious.” No. They are informed. I know about all of this because I did it. I used to be informed about my history, my religion, my health, etc., which led me (like many people today) to mimicking others – particularly my perception of what or how I thought the Kemetic people lived. When I became conscious about certain subjects I stopped reading so many books and began to intuit (channel) certain knowledge. When I say an ancestor told me something, I know that I did not get the information based upon my personal experience, which meant it had to have come them because their blood and consciousness survives through me. Some people asked me where do I get my information from so, that they can read and study the same thing. I list all the books that I have read and inspired me but tell them a lot of what I know is because my spirits told me so. Some of these people interpret my response as me not wanting to reveal my sources but others regard it is primitive foolishness because they just don’t want to do the work. They are quite happy sitting on their backsides talking about the culture, the ancestors, discussing metaphysics and arguing with some other individual who claims to be conscious. When technically all they are doing is arguing over a difference of opinion based upon the information they read. When an individual has true knowledge of self or is conscious they come together with like minds because they see the similarities in various systems. For instance, I do not have to practice Taoism to get along with someone who professes they are Taoist. In facts, I can read certain parts of the bible and use it for liberation because I am not swayed by the beliefs. Being Informed only boosts the ego who is symbolized as Set, while being Conscious boosts your Higher Self. In other words, when you are conscious you do not come together on superficialities such as sharing the same beliefs and ideas. This is the same thing that Jews, Christians and Muslims do among themselves and each other. They argue about how the other’s interpretation of their religious myth is interpreted incorrectly. This is the same thing that so-called people do. In fact, the reason these “conscious people” on the Internet are always beefing with each other is because they all have difference in opinions. They do not understand we are all dynamic individuals and we are supposed to have different opinions because we each have different experiences and come from different backgrounds. We had to have different experiences to accomplish our destinies. For instance, I had to be born into a Christian household where my father is a preacher, so that I could understand how religion hoodwinked us. That’s my maa (way) and everything I deal with has helped me to get on this road. So, I would not dare devalue someone who didn’t have the same upbringing and therefore do not have the same perspective. That’s not their maa. Their maa is different from mine but if they are conscious we should be able to respect one another. For instance, when I hear people say that the Kemetic people were black and brown Africans because they named themselves after the black fertile soil. I understand that this individual is just scratching the surface of spirituality. This is something they read or heard making them informed but it is not what they know. I know that the Kemeitc people named themselves after the mysterious blackness of the universe. That is not something I read. I mysteriously came into that knowing. I have experimented and test it out by slowly delving into the darkness where our Ancestors and Spirits reside. When I listen to other people who have had similar experiences, even though they may not have had the same experience or explain their experience from a different perspective. I understand them because it is not their beliefs, ideas, opinions or information that unites us but their knowledge of self. Basically, their interpretation is how their mind works. Knowledge of Self means knowing your Self or how your minds work, that is the Higher, Middle and lower mind. This is what the Kemetic people excelled in and the reason they accomplished so much is because they understood the power of the mind. In fact, their technology is what we call spirituality, which is what people call today magic. There are plenty of systems that exist but you must figure out which system works best for you and use it to make your own. So, to be conscious means to know how to influence your world spiritually. That being said, leave these people alone who want to sit around arguing about how conscious they are. They are only stroking their ego and the ego remember is our Set. Instead of following these people, learn how to go within and master your mind. That’s why you are here.